Peace, safety, a place to grieve and heal. 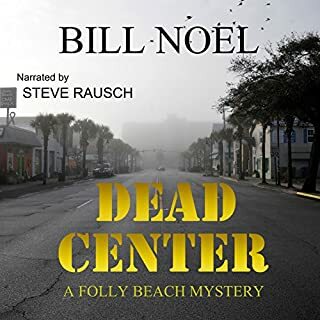 After her husband is murdered by the Russian mob, Boston detective Callie Jean Morgan comes home to her family's cottage in South Carolina. There, she can keep their teenage son, Jeb, away from further threats. 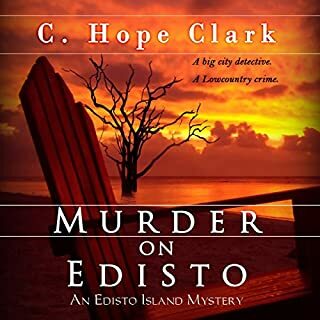 But the day they arrive in Edisto Beach, Callie finds her childhood mentor and elderly neighbor murdered. Are peanuts capable of murder? Carolina Slade will bust this shell game. 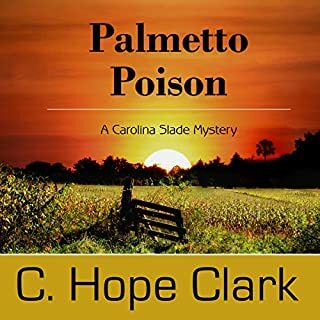 Big money, big politics, crime, greed, and big farming - Slade, an agriculture department investigator in the steamy state of South Carolina, once again finds herself planted in a dangerous mystery. Her assignment? Find out if there's a sinister connection between the drug-dealing arrest of wealthy peanut farmer Lamar Wheeler and the gruesome death of Lamar's teenage son in a car wreck. Months after the untimely death of mafia-made man Vinnie Garlucci, his devoted wife, Carlita, discovers a mysterious key in one of his pockets while sorting through his belongings. 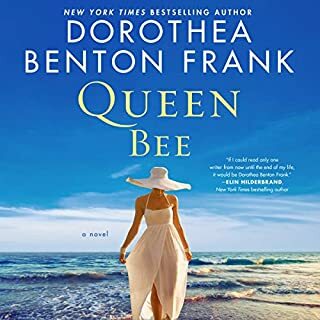 With help from her daughter, Mercedes, she sets off to find out what the mysterious key belongs to and soon discovers she has inherited property in historic Savannah, Georgia. Carlita views the property as a sign and remembers Vinnie's dying words to her to get their family out of the mafia. Threats, a missing boss, a very dead co-worker, a high-level investigation, and a sinister hog farmer: Lowcountry Ag Department manager Carolina Slade is a bean-counting civil servant in hot water. Carolina Slade is a by-the-book county manager for the Department of Agriculture - a civil servant who coordinates federal loans for farmers in the coastal lowcountry of South Carolina. When one of her clients, a hog farmer named Jessie Rawlings, offers her a bribe, Slade reports Jessie to her superiors. The next thing she knows, she's besieged by Resident Agent-In-Charge Wayne Largo from the Feds' IG Office in Atlanta. He and his partner have come to investigate Slade's accusations, and if possible catch Jessie in the act of handing over money. However, the IG isn't telling Slade everything. The agents are also investigating the disappearance of Slade's boss the year before in connection to possible land fraud. And when the sting on Jessie goes bad, the case is put on hold and Wayne is called back to Atlanta, leaving Slade to fear not only for her life and job, but for her childrens' safety. 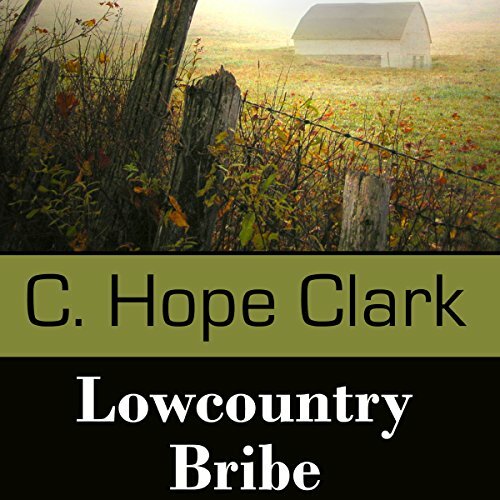 Author C. Hope Clark, the granddaughter of a Mississippi cotton farmer, holds a BS in Agriculture from Clemson University and has 25 years' experience with the US Department of Agriculture. Now an award-winning writer, she manages FundsforWriters.com, a weekly newsletter service she founded that reaches almost 50,000 writers including university professors, professional journalists, and published mystery authors. Writer's Digest has recognized the site in its annual 101 Best Web Sites for Writers for a dozen years. Hope is married to a 30-year veteran of federal law enforcement, a Senior Special Agent, now a private investigator. They live in South Carolina, on the banks of Lake Murray. 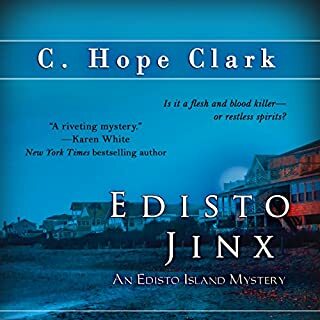 Hope is hard at work on the next novel in her Carolina Slade Mystery Series. Visit her at www.chopeclark.com. 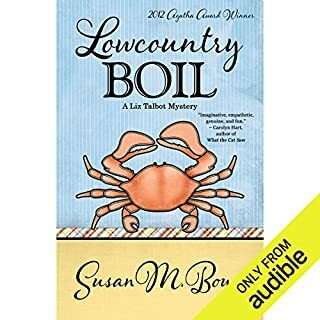 I enjoyed this one as much for its setting in the low country of South Carolina as for the story and characters, which were both a little different and quirky - just my kind of read. Who would have thought there was a story in a country bumpkin (! ), a government mortgage lender and an Inspector General's investigator? Hope to see more of these characters as their relationship develops (or not). I'm a little over an hour into the story, which I'm liking, but I'm not sure I will finish listening because this narrator has the most annoying voice. Thank heavens there is very little dialogue in the children's voices. I liked the story a lot. It had twists and turns and kept me guessing. The characters were interesting. My one complaint is the unnecessary bad language and blasphemous use of God’s name. Sorry to say but I could not force myself to finish this book. Boring and annoying are the descriptors I would use. Skip this one! BUT, what could have been a pretty good story, was marred by whining, and once again a protagonist that starts off competent etc, and then dissolves into a victim. I don't know if the author had intended for her protagonist to be such a whiner, but the narrator certainly portrayed her as such. Unless you can stand a whiny victim, don't bother with this book.